Hi Sharon. Checking for new pots. Have a great day. У вас очень интересные работы. С удовольствием их рассматриваю. Hi, 5 ⭐️⭐️⭐️⭐️⭐️ x 12 wonderful new pots, welcome visit my gallery! Thank you very much, Sharon. 5⭐️ for your newest beautiful creations. Thank you Sharon! 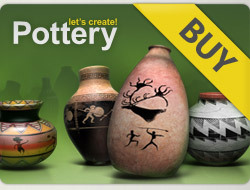 I viewed 14 more of your past inspiring pots! 14 x 5*****! I am all caught up on your marvelous gallery! Now I will wait to see your new beautiful work!